← Is the joint EMC and VMware Pivotal Initiative a Disruptor or Last Follower? Bunchball is the market leader and visionary in gamification here are some key messages from their recent Rockstar Roadshow. Gamification is a powerful tool to engage employees, customers and the public to change behaviors, develop skills and drive innovation. As gamification moves from the leading edge to being widely deployed by more early adopters, now is the time to understand the trend and evaluate its opportunities. Gamification has taken shape during the past two years to become a significant trend affecting many areas of business, government and society. Organizations are challenged to more deeply engage customers, employees and the public at large, and gamification provides a way to create more meaningful relationships with these audiences. Gamification describes the use of the same design techniques and game mechanics found in all games, but applies them in nongame contexts, including customer engagement, employee performance, training and education, innovation management, personal development, sustainability, and health. While these objectives are very broad, additional opportunities may emerge as the trend matures. Brands can leverage gamification to help consumers to better understand their products and become advocates for the brand to provide product endorsements; it can also be used to drive customer loyalty. Utilities can use gamification to persuade people to reduce energy consumption. Healthcare organizations can use gamification to encourage healthier lifestyles and promote more effective disease management. Companies can use gamification to improve employee performance and to motivate the adoption of new business processes. Building a game layer on top of the lesson material, where competition and/or collaboration between students is encouraged with game mechanics, such as points for actions, badges for rewards, and leader boards for competition. Turning the lesson into a game where, in addition to the game layer of points and badges, simulation and animation are used to immerse the students in the video-game-like experience and allow them to practice new skills in a safe, virtual environment that provides immediate feedback. For example, simulation games are being used for aircraft marshal training and power grid operations. Gamification has been garnering increased attention for the past two years. 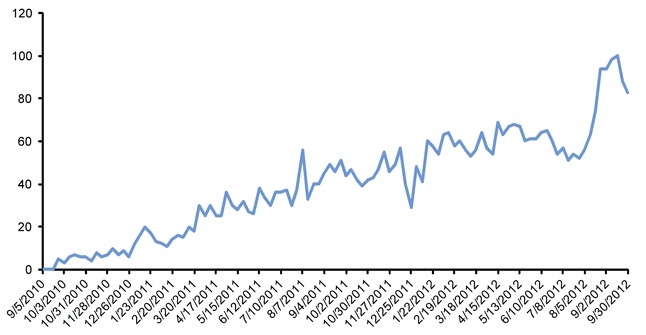 As the Figure below indicates, the number of Google searches on “gamification” has been rising steadily. Gartner has been tracking this trend since its inception, and has been publishing research on gamification since November 2010. 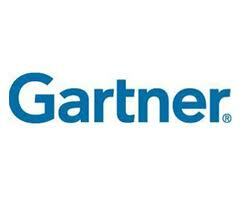 Gartner analysts have fielded more than 200 inquiries on this topic since January 2011. In the past 12 months, there have been more than 2,200 searches on “gamification” on gartner.com. Moreover, the nature of our discussions on this topic with clients has shifted, moving from a small number of organizations that were leveraging gamification primarily for marketing, to a larger number of organizations that are seeking to leverage the power of gamification across a wide range of business areas. As gamification moves from being leveraged by a limited amount of leading-edge innovators to become more broadly adopted by Type A organizations (early adopters), it is important that business and IT leaders in Type A organizations start to evaluate opportunities to leverage gamification. Business and IT leaders in Type B (mainstream adopters) or Type C (laggards) organizations need to become aware of the trend so they can respond to questions about gamification while preparing to evaluate the opportunities for deployment in the next 12 to 24 months as adoption becomes more mainstream. By 2014, 80% of current gamified applications will fail to meet business objectives, primarily due to poor design. By 2016, gamification will be an essential element for brands and retailers to drive customer marketing and loyalty. By 2016, early utility adopters will use gamification to drive end-user, energy-efficiency improvements of 1% to 3%. By 2017, 50% of Global 1000 organizations will use gamification in learning and/or recruitment processes. More than 25% of games produced in 2017 will be emergent, not scripted. More than 15% of games produced in 2017 will have been developed by workers on a gamification platform. I am working on a Transformation project and we will be applying Gamification techniques to embed change in ways of working and help shift individuals behaviours. Get ready to embrace the “G-Word” to improve engagement and loyalty. The Bunchball folk have produced a White Paper on Enterprise Gamification. The “Big Guns” like SAP and the Oracle Applications User Experience team are working on how gamification is influencing the next generation of enterprise applications.